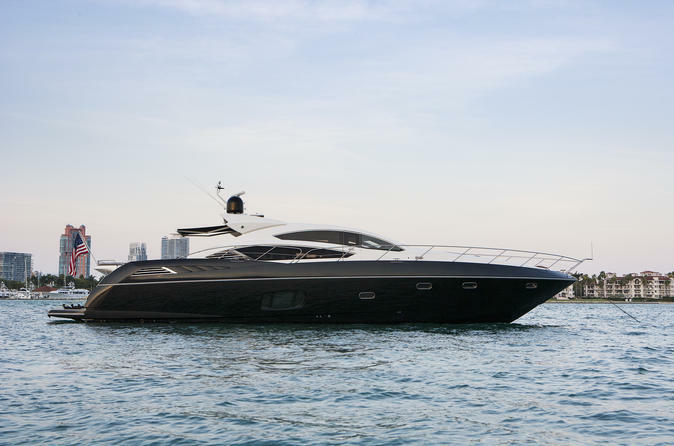 Time to take a day off, and relax on this beautiful 74' Sunseeker. Take an 8 hour cruise to fully experience this sleek and stylish yacht. This unique charter will be tailored specifically to all your wants and needs. Rejuvenate your mind and body with a peaceful charter or party until the sun goes down. This 8 Hour charter includes come with Captain, stewardess, jet ski, snorkel gear, pull tube, boat fuel for local cruising at idle speed, towels, water, sodas, and ice.